For rent elegant, comfortable and spacious 35 sq m studio with an interestingly designed space for a bed allowing to keep the place neat. The studio consists of a living room with exit to a balcony 3 sqm, a fully equipped kitchen (electric hob, dishwasher, oven, electric kettle, fridge), a hall with wardrobes, a bathroom with a comfortable spacious bathtub and a washing machine. The apartment is equipped with many cabinets, shelves and drawers to keep your belongings away from your view. The flat is equipped with anti-burglar doors, intercom, housing monitoring. Located on ul. 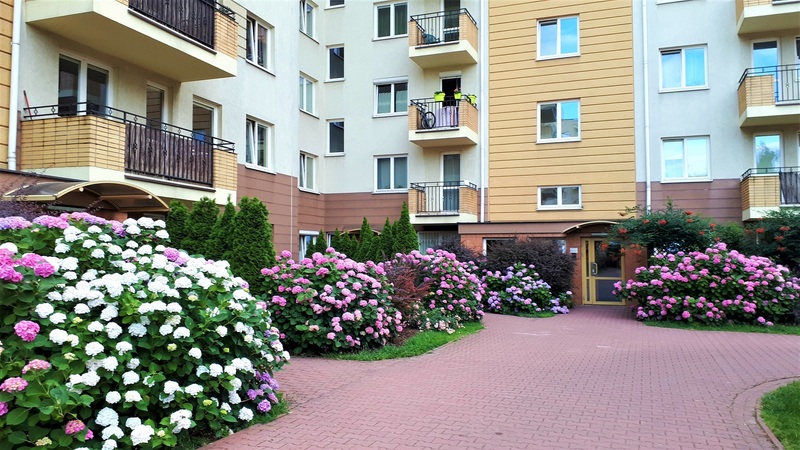 Skoroszewska in Warsaw-Ursus, in a secure, monitored condominium. Greenery on the estate is beautifully arranged, in summer it is drowning in flowers. IN PRICE! An assigned parking space outside the entrance. A modern neighborhood with a very good, communicating location. 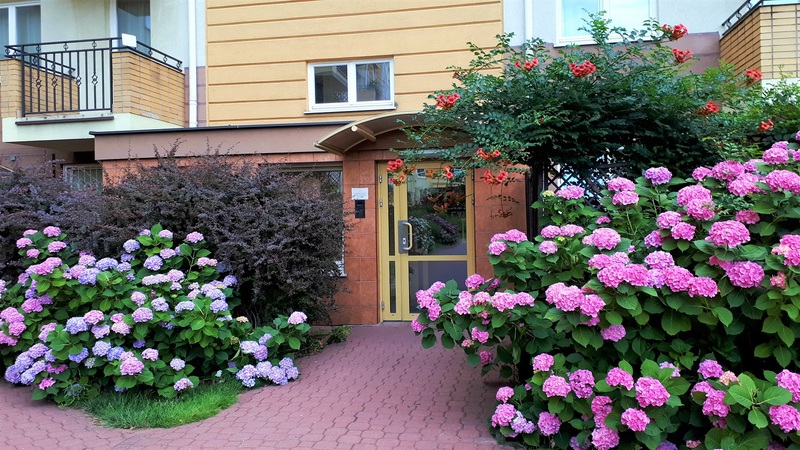 A walking distance to the Skorosze Shopping Center, fitness, restaurants. Near the estate there is a bus stop with a direct quick bus 401 (30 min) to the area of Galeria Mokotów, 1.5 km to the PKP Ursus station (5 minutes by bus 401), 517 to Ochota and Warsaw City Center, 187 to Stegny. By car, you can quickly get to the S8 route, Aleje Jerozolimskie, 15 min to Mokotów and Okęcie airport. Possible rent for a shorter period. Conditions depend on the length of the period. * This advertisement is not an offer within the meaning of the Civil Code.